The Girls to impress and Men to get impressed, anywhere in the world the theory remain same. The Indus Valley culture of India during third Millennium BC used cotton clothing for both women and men. Until now, the culture followed with apparels that are more impressive. No one can imagine a the world without a woman and every woman try to attract a man. This is the Mantra or Formula of Fashion business, which called as Trend Setters. It is not as easy as having a cup of Tea. Impressing Indian girls with impressive apparels is a very tough job. In India, many parts, Saree is a common traditional dress and the draping style only varies. Each part of the country, each region got a different style of draping but in total, the saree can make to every girl homely look, rich, fabulous, attractive, and glamorous. The south Indian, girls mostly wore half saree before marriage and full saree after marriage. The Brahmins community of south India wears the saree a special type called ‘Madisar’, which is the compulsory customary dress of bride in the wedding. There are many varieties of handloom, cotton, silk, embroidery, and designer Sarees. The woman of the Millennium, Mrs. Indira Gandhi late prime minister of India, who was fond of cotton handloom sarees and promoted till the last days. She chooses soft matching colours and decent designs, which suits her, gained more respect. Photos of Saree blouse design and neck patterns. How to stitch a Salwar suit? The climatic conditions and situations make every creature behave protectively. The extreme climates like too hot and too cold make to protect your body properly. The frequent war and migration from place to place made many parts of the northern part of India women have secured dress - Salwar and Kameez. The Punjab, Haryana, Rajasthan, UP, MP, Bihar, part of Maharashtra and Odessa. Nowadays, for more convenient and social security many adapted the Secured Salwar Kameez but no doubt it also sedative. The loose fit Pajama or pant is Salwar, which tight fit at the bottom and tied with drawstring at waist. The Kameez is a long tunic, with side seams, which reaches up to thigh. A long scarf or Dupatta which wrapped around the neck and covering feminine portion. The trio is the combination and there are many types as with collar, open neck, stonework, printed, embroidery, and glasswork. This customary Secured Salwar and Kameez definitely keep girls sedative. It is the traditional dress of Rajasthan, MP, UP, and Gujarat. 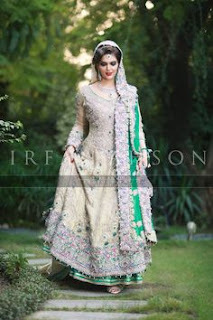 The Lehenga is embroidered long skirt with pleats. A midriff-bearing blouse, which stitched properly to suit the body, with short sleeves and different kind of low neck is Lehenga Choli or Ghagra Choli. The long scarf or Dupatta is worn in a different way which very much appealing. The different variety of artwork, stonework, embroidery work, and special designs with appealing colours will make everyone wait and watch. A long simple shirt up to knees without a collar and front side short opening is Kurtha. It is the unisex dress, which can combine Jean pant, white bottom tight wear, narrow pants, or leggings. Below the waist, it is open and extended up to the knee or just above. A scarf or Dupatta used to cover the neck and front. This dress looks simple and many times Bridegroom used during the wedding time but still it is Unisex Kurtha. You may name Saree, Salwar Kameez, Ghagra, or Kurtha, Indian girls impress, express, and sedative.